Dr Emma Hayward has recently completed an AHRC-funded PhD at the University of Liverpool. Her thesis—‘From London to New York: Peripatetic Narratives and the Urban Imaginary in Contemporary British and American Literature, 1985-present’— brings together a diverse range of literary, pictorial and cinematic engagements with London and New York. The thesis is particularly concerned with identifying and examining the various literary and visual techniques deployed to represent individual urban experience under the conditions of postmodernity, especially the experience of moving through the streets. Emma is currently undertaking post-doctoral research funded by the AHRC Cultural Engagement Fund at the University of Liverpool. She will be working in collaboration with the Centre for New and International Writing, CAVA, and the Liverpool Biennial to engage the wider community through a series of literary and artistic projects, events, and workshops based around psychogeography and the city. She is also collaborating with the Arts and Culture Unit and Resonance FM to produce a radio programme on urban space, ruins, and nostalgia in Ben Katchor’s long-running comics strip Julius Knipl: Real Estate Photographer. The project is part-funded by CAVA. 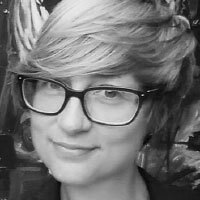 Emma’s research interests include the interdisciplinary connections between cultural forms—particularly the relationship between literature, architecture and film— contemporary literature, literary histories, and urban studies.